A dog lover's card to congratulate that new dog in someone's life. 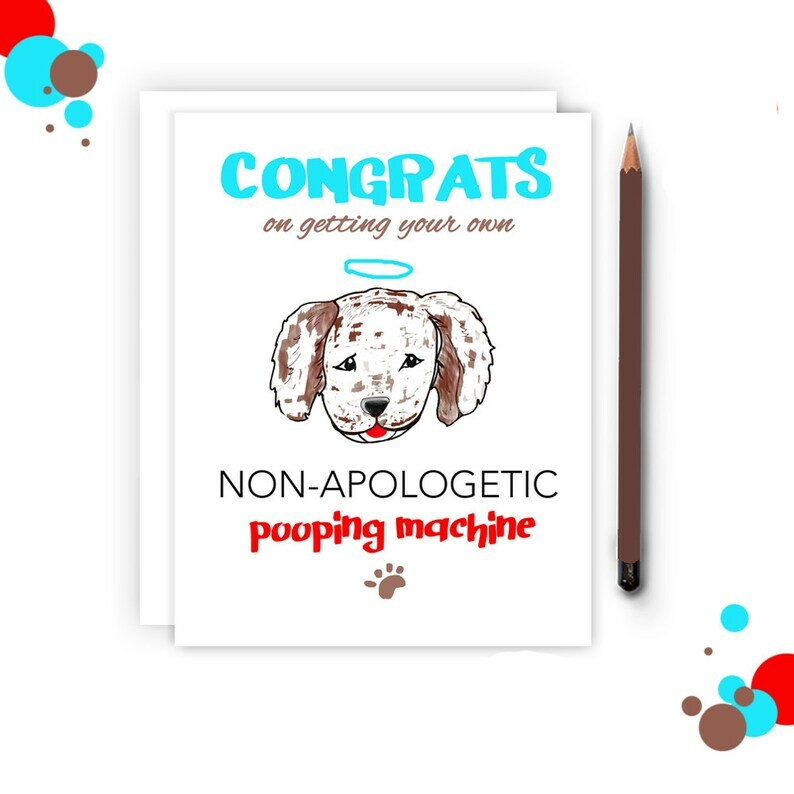 It's a special occasion to celebrate that unapologetic pooping machine they've acquired. Get those poop bags ready!